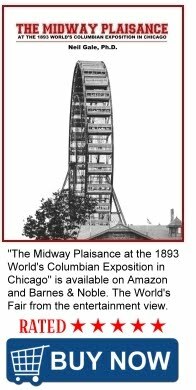 The Digital Research Library of Illinois History Journal™: The First-Ever Brownie was invented in Chicago by Bertha Palmer for the 1893 World’s Columbian Exposition. The First-Ever Brownie was invented in Chicago by Bertha Palmer for the 1893 World’s Columbian Exposition. Like Twinkies and deep dish (or pan) pizza, brownies were born in Chicago. 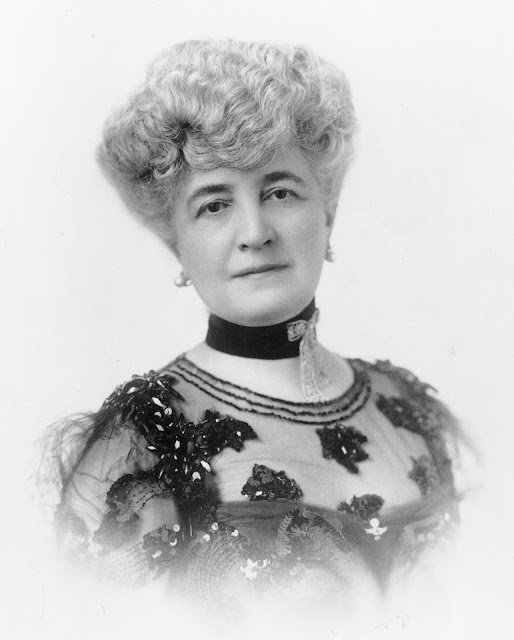 Credit goes to Bertha Honore Palmer, wife of the Palmer House’s original owner, Potter Palmer. Apparently the organizers of the World’s Columbian Exposition of 1893 asked her and the hotel to concoct a delicious and transportable dessert, and this classic was born. Unlike other brownie recipes which started appearing in 1904 and specified that butter and sugar were first creamed before being combined with a small amount of melted chocolate, the Palmer House brownie is made with more than a pound of melted chocolate and a pound of melted butter. 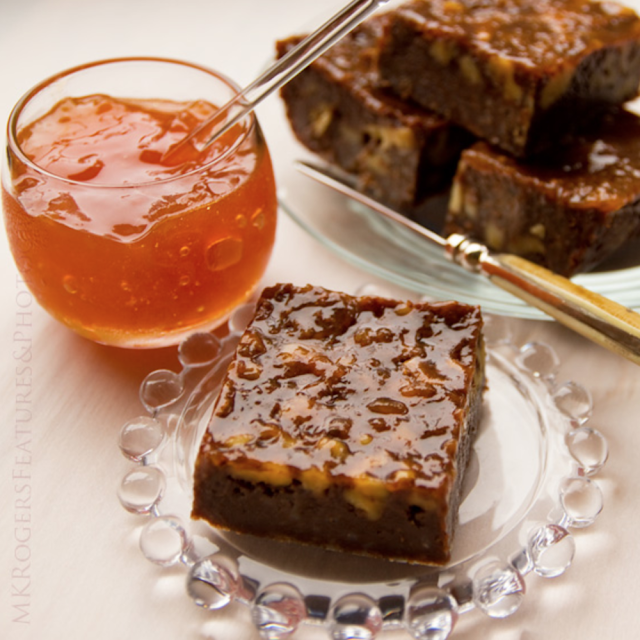 The finished brownie is also glazed with apricot jelly. A combination of chocolate fudge and brownie, crispy-chewy on the edges, ultra dense and chocolatey, it’s best served frozen, or very cold… otherwise, gooey things happen. Actual photograph of the Palmer House Brownie. What is the difference between (all purpose) flour and cake flour? - Cake flour is a finely milled, delicate flour with a low protein content; it's usually bleached. When used in cakes, it results in a super-tender texture with a fine crumb, and a good rise. Chiffon and angel food cake are two great examples of where cake flour really shines. The primary difference between cake flour and all-purpose (AP) flour is the protein content (which becomes gluten). The protein content of cake flour is about 8%, while the protein content of AP flour is slightly higher. Interesting that they were asked to make a "transportable dessert", and came up with one that is "best served frozen, or very cold… otherwise, gooey things happen." One of my favorite "food groups" which I rarely get to enjoy. I'm not sure about the apricot jelley, but thanks for the instructions!